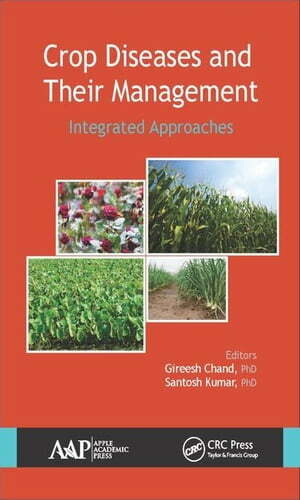 Collins Booksellers - Crop Diseases and Their Management: Integrated Approaches by Chand, Gireesh, 9781771882613. Buy this book online. The book thoroughly covers the symptoms, causes, disease cycles, and management approaches for many diseases that affect useful agricultural crops. Edited by two professors and researchers with years of experience in teaching on crop diseases, this book is suitable for students in agricultural sciences and helps to cover the recently modified course curricula in India that increases coverage of crop diseases. Crop Diseases and Their Management is also a handy reference for plant protection experts, vegetable specialists, horticultural officers, and extension workers.